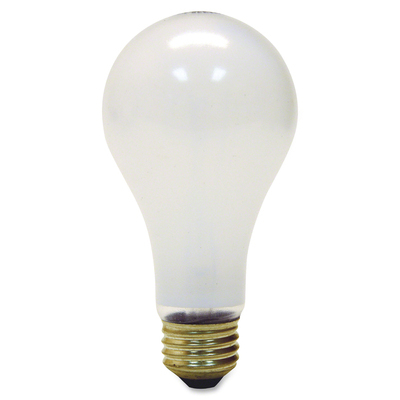 Three-way, A21 bulb offers a range of light levels for your home or office. Versatile design lets you choose between 50-watt, 100-watt and 150-watt settings. Medium screw base is designed for table lamps and floor lamps with three-way sockets. Incandescent bulb provides 615, 1,540 or 2,155 lumens with a 2,800 Kelvin rating. Bulb is designed to last up to 1,200 hours.